Marietta, Georgia’s “Big Chicken” is a landmark so widely recognized, it has its own Wikipedia page. 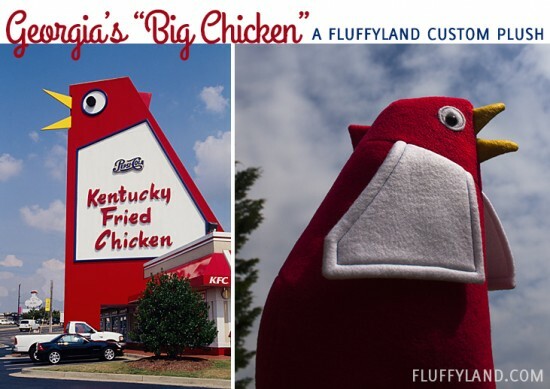 According to said Wikipedia page, in 1963, a Marietta KFC franchise built the 56-foot tall chicken as a way to attract visitors to the restaurant. 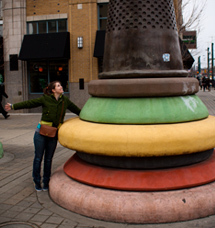 I mean, look at that thing! How could you NOT stop there? His eyes roll around and his beak opens and closes! As part of my research I watched this informative but hilarious video about the history of the big chicken and its new shiny paint job. Of course, the reason I know so much about this goofy, giant chicken is because I was asked to make a plush one! Todd, a previous Dunkleosteus customer, has a toddler daughter who absolutely loves the chicken. And who can blame her? Todd figured, if I could make that prehistoric armored fish into a huggable plush, why not Marietta’s most beloved landmark? 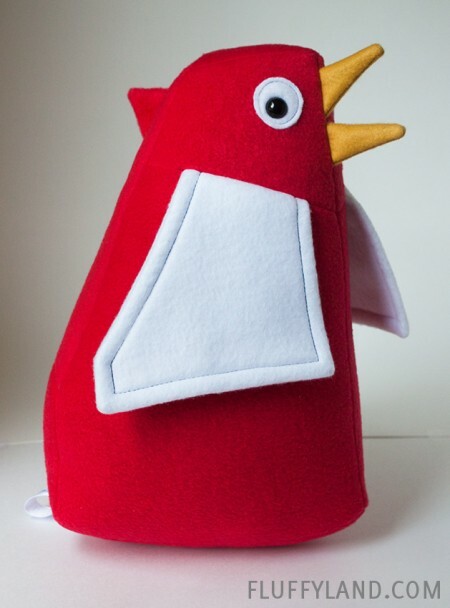 And of course, as soon as I saw the chicken, I became obsessed with the project. Such bright colors and such crazy eyes! This project was super easy for me because the big chicken was love at first sight. 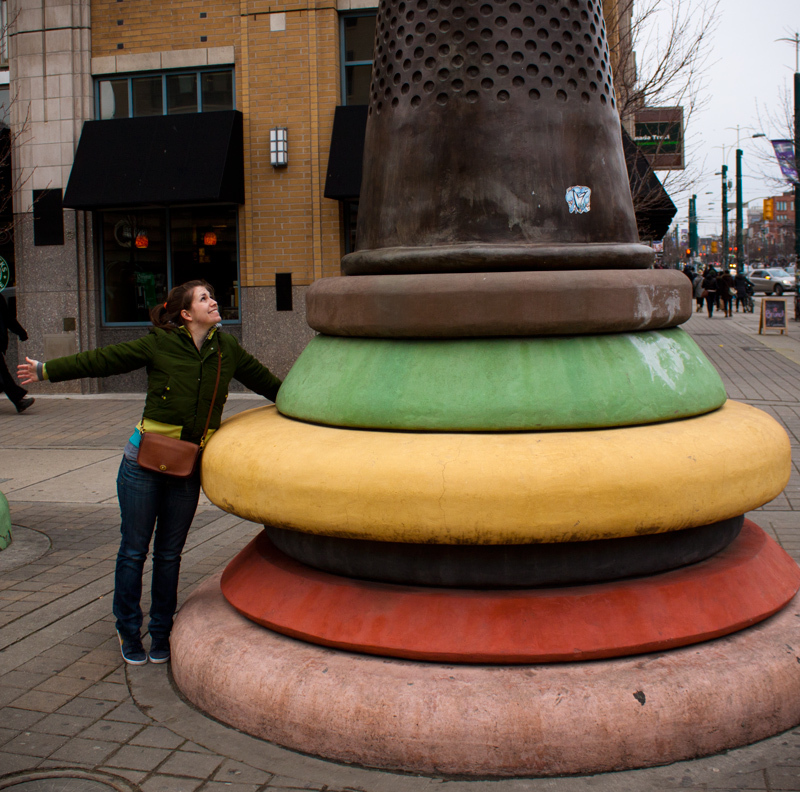 It’s so silly and brightly colored and all-around awesome. I tried my best to make the plush convey the spirit of the big chicken, and I think it worked out. And Todd and his wife loved the plush chicken… but more importantly, his toddler daughter was thrilled to have a surprise Big Chicken friend. Having a hand in surprises for little kids is, to me, the greatest honor. It’s so much fun to sew things that will be so loved. I mean, look at this guy. I can’t help but grin every time I look at him. Thanks, Todd, for a wonderful challenge and a really fun project. This one will always be on my list of favorites! 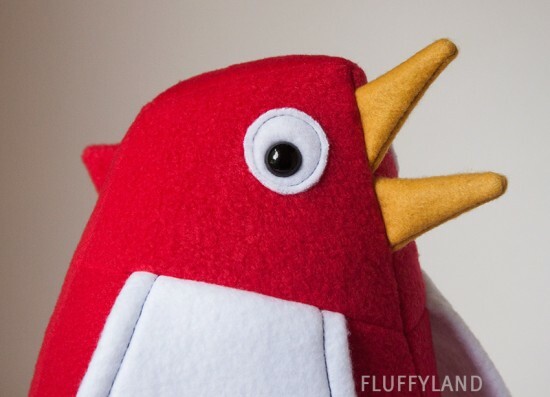 And don’t forget, I always love to hear your ideas for custom plush. It’s that time of year, and I’d love to help you make something awesome and unique! Early November (or earlier!) is the best time to tell me your ideas so I have time to give them the effort they deserve. 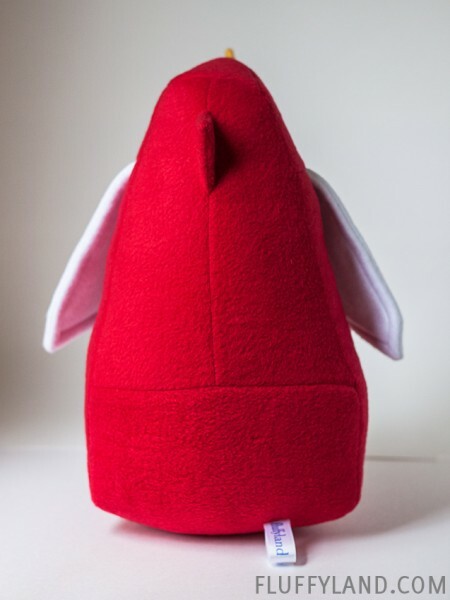 Let me know if you have the idea for my next awesome plush! Dunkleosteus was happy to see the arrival of a new friend, and Sylvie considers them two of her favorite buddies. 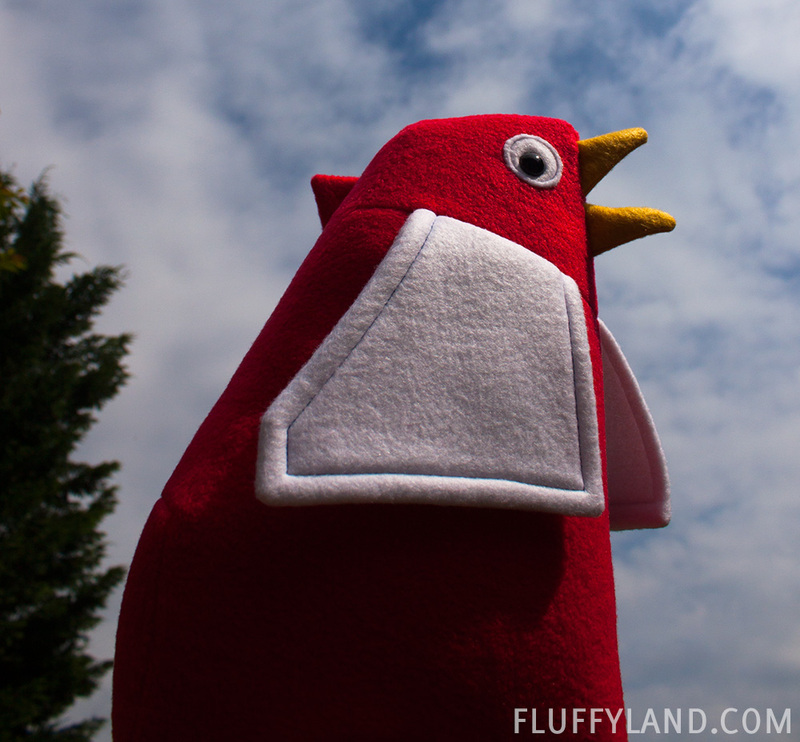 “That silly big chicken!” Is an often heard phrase around our house… Thanks again for the great work!